Your kiddo has been dissecting frogs since before he could walk. He could name all the major muscle groups before Kindergarten, and he prefers watching old reruns of medical dramas to pretty much anything else on TV. He’s even already declared his doctoral specialization: candy. It’s a…developing field of medical research. Sadly, you can't just hand a medical degree over to a kid, unless he's the star of a 1980's comedy drama, and even that was a bit far fetched for our tastes (albeit entertaining). 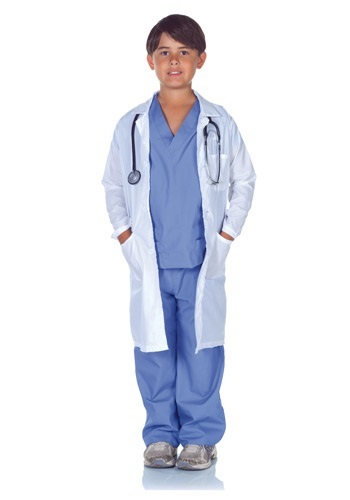 You can, however, dress your kid up in scrubs and have him perform surgeries on all of his toys, STAT! 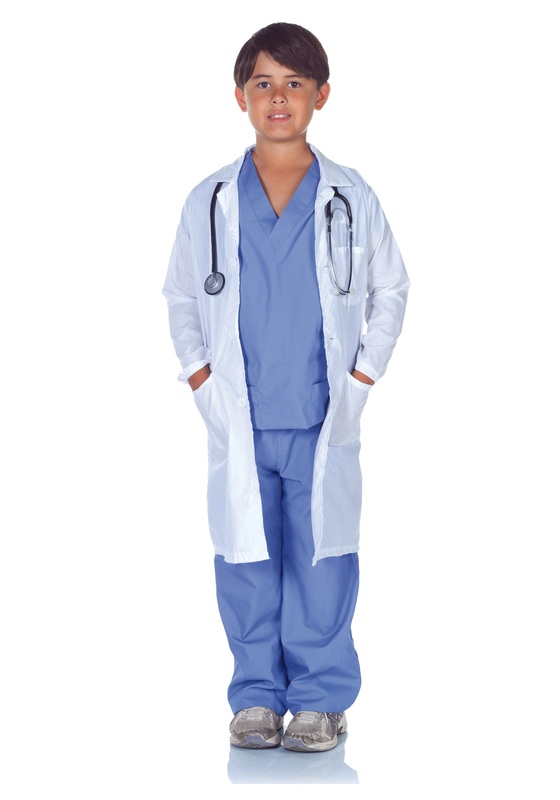 He will love getting to finally look the part he so frequently plays in this Child Doctor Scrubs with Lab Coat Costume. Get him a clipboard and teach him to practice his handwriting, seeing as medical charts are mostly illegible anyway. Or teach him to run at least an hour or two behind schedule. Everyone will just have to get used to waiting patiently for his time.